We also sell sublimation printing solution to final customer all over the world. , LTD is a printing and package company integrating production and sales. We also sell sublimation printing solution to final customer all over the world. No matter what flavor frosting or cake, or what ages the recipients, cupcakes are still an all-time favorite birthday gift. Occasions for Birthday cupcakes pop up card: The card is best suitable to celebrate Birthday for children or for those who have sweet tooth. Give this handmade pop-up card to your friends or children on their birthday to tell them how much you care. Chinese Supplier Wholesele Fancy Thank You Card Custom Happy Birthday Handmade Greeting Card Siz e 15*15cm; According to customers` specific requirements. Shape and Style Rectangle, square, circular, oval, especial Shape: modern design, classy style and archaize style or according to customers` requirements Grey card board From 600g to 1600g is normally used for Alibaba China Wholesale gold wedding invitation card Art paper 157g- 250g is normally used for wedding invitation card,greeting card etc. Printing CMYK 4 color offset printing, screen printing, Panton color, UV printing. Alibaba.com offers 5,182 happy birthday greeting card wholesale products. About 83% of these are paper crafts, 46% are artificial crafts, and 6% are card printing. A wide variety of happy birthday greeting card wholesale options are available to you, such as folded paper, honeycomb, and card. You can also choose from wedding decoration & gift, art & collectible, and business gift. As well as from letters, animal, and flower. And whether happy birthday greeting card wholesale is artificial, folk art, or antique imitation. 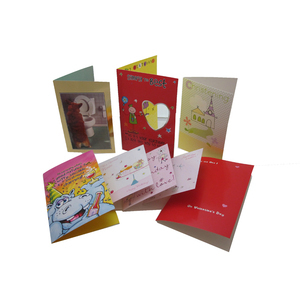 There are 5,249 happy birthday greeting card wholesale suppliers, mainly located in Asia. 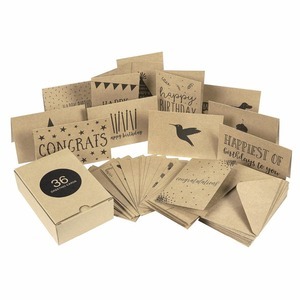 The top supplying countries are China (Mainland), Vietnam, and Pakistan, which supply 91%, 8%, and 1% of happy birthday greeting card wholesale respectively. 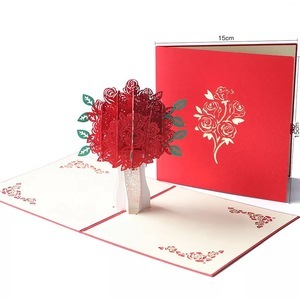 Happy birthday greeting card wholesale products are most popular in North America, Western Europe, and Eastern Asia. You can ensure product safety by selecting from certified suppliers, including 2,460 with ISO9001, 1,173 with FSC, and 505 with GSV certification.